COMPASS VISA is issued by a leading financial services group – DBS and Hong Kong HWL. The branding of COMPASS VISA is to bring customer a brand new shopping experience with installment service. 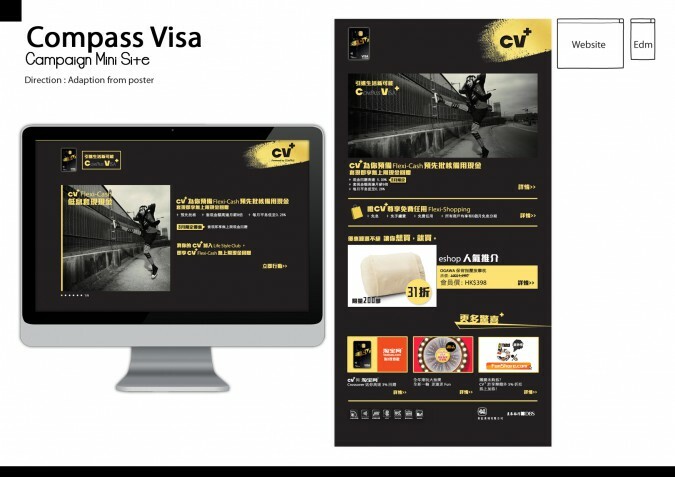 We take part in mini-site design for promoting their upgraded version CV+ card.